I received the picture and it still didn’t make sense why there was so much excitement in her voice! She told me that the woman sitting is Maybelle Carter, June Carter Cash’s mother, and we are related to them on the Fraysier (Frazier) side – her paternal family. What!? Now, it finally made sense! Her cousin told her that we are related to Maybelle Carter & June Carter Cash. Well, the “researcher” in me set out to validate this information and away I went! I looked throughout the Fraysier (Frazier) tree! Since his grandfather and Maybelle Carter were first cousins, I needed to find the connection and only really has 4 people to work with (her parents and his grandfather’s parents). Somewhere there were siblings who were married (to other people) in order to create cousins. Was it 2 sisters, 2 brothers, or a brother & a sister? I located Maybelle Carter’s genealogy online and found that her parents are Hugh Jackson Addington (1877 – 1921) and Margaret Elizabeth Kilgore (1879 – 1960). I followed the Addington tree to try and locate siblings of Hugh Jackson Addington who married, perhaps, a Fraysier (Frazier) – leading to a Fraysier/Addington connection and first cousins. This trail ended up void. The next step was to look at the Kilgore family to locate a Fraysier (Frazier) connection. I needed to find a sibling of Margaret Elizabeth who married a Fraysier (Frazier). Finding siblings of Maybelle was a little more difficult that I anticipated. I did, after a time span of searching and walking away (this is a key step in genealogy), find her list of siblings. At this point the only logical conclusion was that this must be a female who married a Fraysier (Frazier) because my mother’s cousin was a Fraysier (as well as his grandfather). Lo and behold, Adna Melvina Kilgore (1874 – 1903) (Maybelle’s aunt) married Charles Compton Fraysier (1872 – 1950). I was beyond excited that I found a Fraysier married to a Kilgore! The next step was to connect My Fraysiers to my mother’s cousin’s Charles Compton Fraysier! That Fraysier line did connect, however, there was no blood connection to the Kilgore line from my Fraysiers. We are related to Charles and his descendants, but not his wife’s sister’s descendants (Maybelle Carter). I was stumped! I called my mother and told her the news. I explained the relationship to the Fraysiers and that the relationship with Maybelle Carter didn’t cross blood lines. I gave her the names of the family members of Maybelle Carter (the Kilgores, Addingtons, and McConnells) and she reminded me that we have Kilgores in our family on her paternal Grandmother’s side of the family (The Gillenwaters). She emailed me a paper that her aunt worked on many years ago before her passing. I wasn’t sure why Linnie would have this woman on a separate sheet of paper nor why she had concentrated so much information on Jane Porter Green Kilgore (1761 – 1842). It seemed there was a reason a vast amount of research and time was spent on her! I went on a whim and began researching Jane Porter Green Kilgore. On a side note, all I can say it, “Wow!” I was truly blown away by the story of this woman’s life (that is a post for another day)! Now, to get back to the Kilgores. Jane Porter Green married Robert Kilgore (1765 – 1854). They had a child, Winnie Kilgore (1786 – 1873) who married John Broadwater. Their child was Nancy Broadwater (1825 – ?) who married Elijah Gillenwater (1823 – ?). Suddenly I was getting somewhere! Elijah’s son William Logan Gillenwater (1856 – 1931) is the father of my mother’s paternal grandmother, Florence Victoria Peters Gillenwater (1879 – 1959) who is the mother of my maternal grandfather (John Monroe “Roe” Fraysier). Yes, finally a connection to the Kilgore Family that I can document. I just needed to connect my Kilgores to Maybelle Carter’s Kilgores. Remember Jane Porter Green Kilgore? Her husband Robert Kilgore had a brother, Hiram Kilgore (1771 – 1851). He is the great grandfather of Margaret Elizabeth Kilgore, Maybelle Carter’s mother. I was thrilled to find this news! 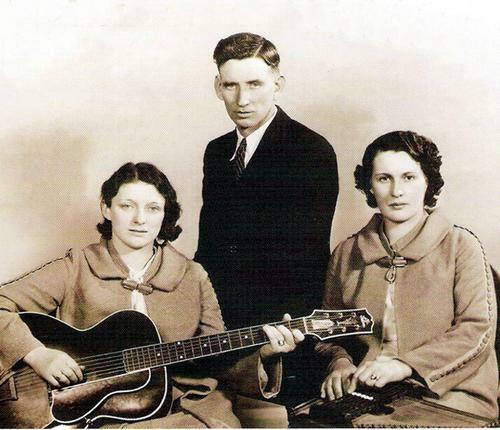 We are indeed related to Maybelle Carter of the Carter Family – mother to June Carter Cash (Johnny Cash’s wife). We are related not through the Fraysiers but through the Gillenwaters (my maternal grandfather’s mother’s family) and the Kilgores. Sure, its about 5-6th cousin, but, hey, when you set out on a journey you never know what you will find! Always expect the unexpected and keep Shaking Your Tree! This entry was posted in Expect the Unexpected and tagged Fraysier, Frazier, June Carter Cash, Kilgore, Maybelle Carter by hagerfamilygathering. Bookmark the permalink.